As part of our corporate social responsibility, we are committed to help the under privileged and those in need. 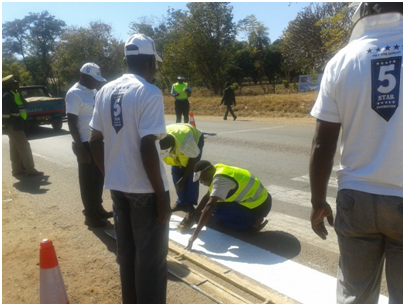 We also work with the Traffic Safety Council of Zimbabwe in their drive to make our roads safer by donating road line paint for road markings. 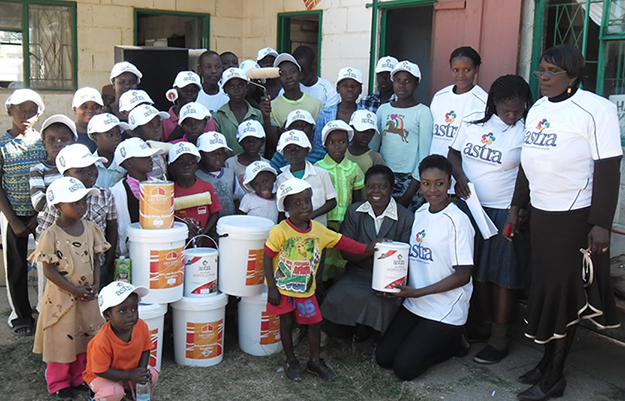 In June 2013 Astra Paints was part of those who supported The Happy Organisation revamp exercise that we launched on 1 June 2013. The Happy Organisation is a centre that reaches out to many orphans, vulnerable children and widows in the Chitungwiza community at large. 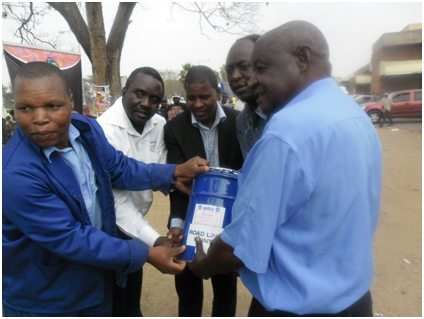 As of the beginning of 2012, we have been assisting the Traffic Safety Council of Zimbabwe by donating road line paint to mark pedestrian crossings in an effort to make them more visible to both pedestrians and motorists. 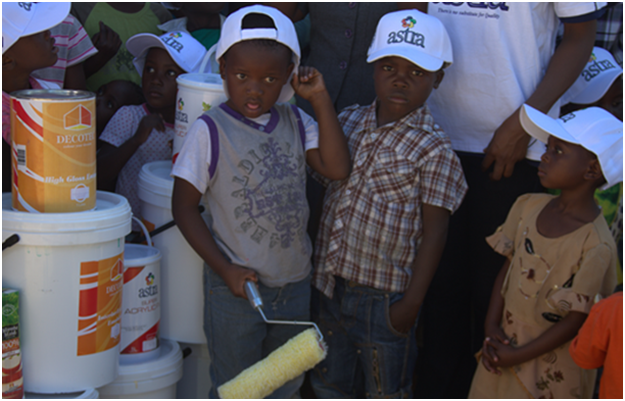 Some of the towns that have benefited from this drive include Norton, Kadoma, Kwekwe, Gweru, Masvingo and Bindura. This drive enables the public, especially the vulnerable school children, understand the importance of crossing at designated areas to minimize accidents and loss of life.